Commercial vs Residential Real Estate. There are many factors to consider when comparing Commercial vs Â Residential real estate. Commercial tenants are usually of a business nature running businesses from the property while residential is mainly used for live – in accommodation. Commercial Real Estate has a perception of being expensive and unaffordable. This could probably be defined half right. We always hear of significant commercial property transactions. Examples being large commercial buildings such as Office towers, retail shopping centres, and international hotels. Most people have a good understanding of residential property as most of us have an owned or currently own our own home. So we feel safe in investing in residential property. Bank lending is usually easier with residential investing. Generally, banks require smaller deposits when people are purchasing residential property. Deposits could be as low as 10%. While around 30% or higher with commercial property. With the current situation of the changes in leading policies finance has become more difficult and higher deposits are usually required. Up till recently interest only loans having a popular but this is changing with the new lending requirements. This means that the payments and possible interest rate are also higher. You may be asked to prove a higher income to service the debt. What are the general returns on Commercial vs Residential Real Esate? Generally investing in commercial property has higher income returns (cap rates) compared to residential property investing. When journalists quote income returns for residential property, they usually cite a gross income figure. Commercial property outgoings are usually paid by tenants while residential owners typically have to pay most outgoings. A gross income figure is the actual rent paid by the tenant to the landlord and does not include all the outgoings which depending on the age of the building I usually around 30%. When negotiating commercial leases, the tenant negotiates a net rent plus a percentage of the outgoings. For example, if they lease 10% of the building, they would usually be liable to pay 10% of the total outgoings. In the residential situation, the tenant is often to pay for all their water usage on top of their Basic utilities such as electricity, gas, and telephone. Returns on investment vary. At the moment rental terms for residential are around the 3 to 4% mark Gross. This equates to around 2 to 3% net. 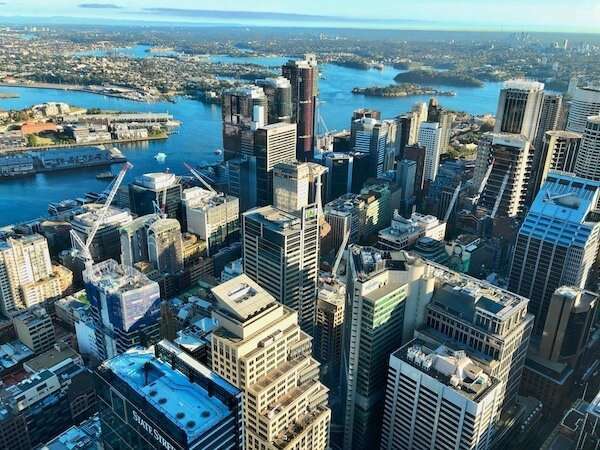 On the other hand, good quality commercial property with blue-chip tenants, e.g., national tenant in a prime retail space in major cities of Australia is currently showing around the 4 to 6% mark net. In some situations where the current rent is below market value, or the site is potentially a significant development site it may be lower. Generally speaking, when comparing Commercial vs Residential Real Estate Investing in a regular market, it is usually easier to lease out a residential property than a commercial. Depending on the current situation residential properties only take a few weeks to lease out while in unfavourable economic conditions some commercial properties can take many months to lease out. Commercial investment property usually have more extended leasing periods. Most residential leases are around 12 months while commercial leases are usually 4 to 10 years and sometimes longer. So residential investments generally have more regular downtimes while commercial ventures have less and more extended downtimes between tenants. Generally (not always) capital gains are higher with residential property. In the last 4-5 years, we have seen spectacular capital growth with residential property in Sydney & Melbourne. In fact, this trend has been reflected in many major capital cities and regions throughout the world. Generally speaking, residential property demand usually increases with population growth. On the other hand commercial investment property prices usually a reflection of the current business environment and structure of lease. Eg. Â longer leasing period may indicate more stability in the investment. Although Capital gains for commercial property are usually lower, some commercial properties can achieve dramatic capital gains. Some of these factors could also be local population increases, change of use, redevelopment or change of zoning. Also, some commercial property investments do have residential tenants. For example, this could be boarding house which in theory is like a mini Block of units. In summary, how you decide to on Commercial vs Residential Real Estate will take into account many items. It all boils down to your finacial situation and your long and short term investment property strategy. . The information in this article is of a general nature and not meant to be any financial advice. Any investing does carry an element of risk. Please consult your financial advisor before you buy.